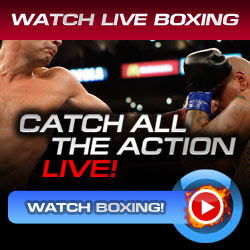 Undefeated Mexican Julio Cesar Chavez Jr. will defend his World Boxing Council Middleweight title for the first time against the former IBO/NABF Middleweight Champion Peter Manfredo Jr. tomorrow night at the big sports center in Houston, Texas, the Reliant Arena. Peter Manfredo Jr. is currently ranked #4 middleweight contender by the World Boxing Council and he was been seen in 2005 at The Contender fighting out some big names in boxing like Gomez and Mora. Manfredo Jr. is not the best puncher in the world but he knows when and where to throw his punches. He has a huge body and more experience fighter than Chavez Jr. He's ready to get hit and fights the basic style of Chavez Jr. While the Mexican champion Julio Cesar Chavez Jr. is very determined to defend his WBC Middleweight belt as he was the first Mexican boxer who won the Middleweight world title. He has the best training camp together with Coach Freddie Roach and Conditioning Coach Alex Ariza. He is the favorite in this 12 hard round bouts. He has 2-inch advantage over Manfredo Jr. His last fight against Sebastian Zbik showed what stamina he has and it was a good test for him to received those hard punches. He likes coming forward and fight toe-to-toe, throws the body punches and uppercuts.